J&N Auto Glass is the best because we provide you with quality glass repair and replacement at the most reasonable prices anywhere. When it comes to auto glass, we know the industry. Our windshield replacement service is quick and easy. We handle glass for every part of your vehicle including windshields, door glass, quarter glass, vent glass, and back glass. If your door glass has shattered or has been broken for some reason, J&N Auto Glass has the expertise and the quality tools for installing the glass properly. For your quarter glass replacement needs, J&N Auto Glass guarantees only the best service. To keep your car well ventilated and for better visibility, we offer quality vent glass replacement for all types of car. 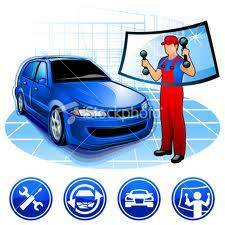 We handle all auto glass replacements and back glass is never an exempt. If you have problems with your windows' up and down motion, we will solve them. We will replace or repair door handles. Whether it's the wing mirror, door mirror or side-view mirror, we do proper remote and horizontal adjustment.